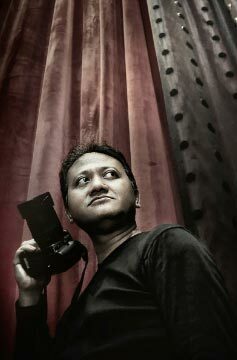 Photo Talk established in June 2004, starting from small photo studio in Kayumanis, East Jakarta. In the beginning, our main services are taking human interest photography ie. Beauty shoot, baby/kid shoot, family shoot. In 2006, we try to spread our services into wedding & pre-wedding photography & videography. By joining several wedding exhibitions, we try to introduce our service & build people trust by capturing every single moment in human live to be wonderful photo & video. Then, all the photos can talk a thousand words. "Might be all human moments never return, but all memories could be freezed eternally by photo & video". Let's choose the package service you like, we will provide the wonderful images that beyond your expectation. On 2002, I tried to join Digital Photo Competition held by Honda Automotive on National level. To be honest, this event is my first experience, but unpredictable the final result my photo judged as the 2nd winner of this great competition. Starting this stage, I try to learn more seriously everything about photography. I met, discuss & learn with many profesional Photographers ie. Darwis Triadi, Ferry Ardiato, Makarios Sukotjo, Goenadi Gunawan, Arbain Rambey,etc. Finally, I try to invest some digital cameras & lighting equipments, then build my own studio named Photo Talk. Photography & Videography is my passion. Once I pick up the camera & press the shutter shoot, everything will be fun & all the problems in the world will be gone. I enjoy creating images, and love working with people. Everyone is unique, and every moment in human live is very valuable & unrepeatable. I always take personally in every shooting picture in human moments. Creative, distinctive, and passionate is what we envision for our images.In this digitalize era, the sky is the limit for all the creative things. We always try to combine the technology progress & art in all images. Also, we still develop & re-new the shooting metod, editing & design process. We never satisfy only in this current level and still learning and having a great time in this journey.